Fix your HDCP problems, record gameplay and repurpose old displays. It doesn’t take much to make a TV these days. In fact, combining just an old LCD computer monitor with a new Roku can give you a high quality entertainment system, all for for the price of a $49 Roku device and a trip to the used computer store. Until you get the dreaded HDCP error, and those dreams of popcorn and Netflix come crashing down in flames of frustration like the Hindenburg. But no worries. You can learn from my frustration. With a few cheap components and some simple tech hacks, you can fix the HDCP error and be streaming tonight. Let me show you how to reuse your old LCD computer monitor with a new Roku and fix the HDCP error. How I fixed the HDCP error is a pretty funny story. But it’s late and you’ve got Netflix to watch, so skip the fluff and click here for this simple fix to a HDCP error and how to reuse an old LCD computer monitor with a new Roku. But if you’re curious how I unlocked the secret, read on. Reuse your old LCD computer monitor! You don’t need a fancy, connected TV or the more expensive Apple TV or Android TV to stream movies or TV off the Internet. 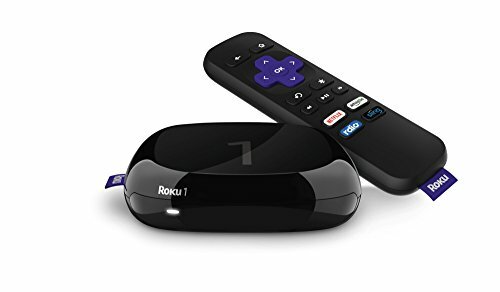 All it takes is a $49 Roku, the most inexpensive and low energy device for streaming movies, television and radio through nearly any television or LCD display. 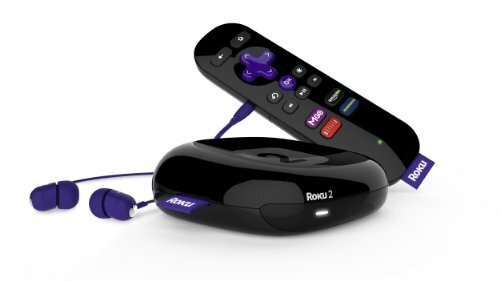 Founded in 2002, Roku struck gold with their first generation digital video display device initially released on May 20, 2008. These devices evolved from supporting only Netflix streaming to a catalog of over 200 public channels including sources like Amazon Prime, Hulu Plus, Netflix, PBS, PBS Kids, Pandora, Fox News and many more. Thanks to its growing popularity, you can pretty much stream anything with a Roku, and you don’t even need a TV. An old LCD monitor works nicely, if you know how to fix the HCDP error. In terms of small cheap devices that simply just works, there simply is not a digital video streaming box as versatile, Grandma can use it friendly as the Roku. If you like to hack on things, the XBMC software is great, (I think you can put it on the Rapberry PI these days,) but requires more configuration, setup and maintenance than most would consider acceptable. We know Google's Chromecast HDMI Streaming Media Player is a solid simple streaming device, however it lacks both the remote and the RCA outputs the Roku includes/supports. Simply put the Roku is just better for most casual users. Let’s start with the audio and video output jacks that are available on the back of the basic Roku and how to connect this to our old LCD display. On the back of the Roku, you’ll see a basic RCA component outputs in addition to a single HDMI out. The tricky part is that the standard VGA (D-Sub three-row 15-pin DE-15) cable found on most used LCD monitors doesn’t work on a Roku. Converting either HDMI or RCA component video to VGA format will leave you pulling out your hair and ready to take a baseball bat to the monitor, Office Space gangster style. One simple solution, however, works like a charm. Technological salvation lies in the DVI (Digital Visual Interface) port on the back of your repurposed LCD monitor. 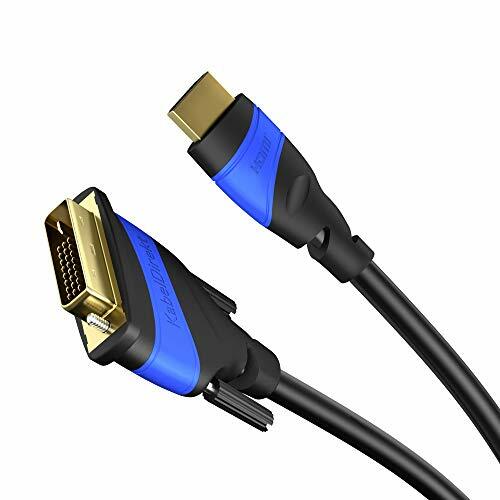 Developed in 1999, the DVI standard was designed as a digital replacement to the old analogue VGA video standard. 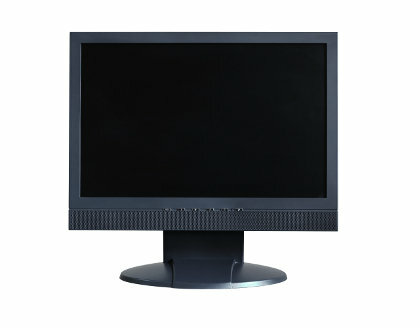 It can often be found in conjunction with a standard VGA input on the back of most older/used LCD monitors. 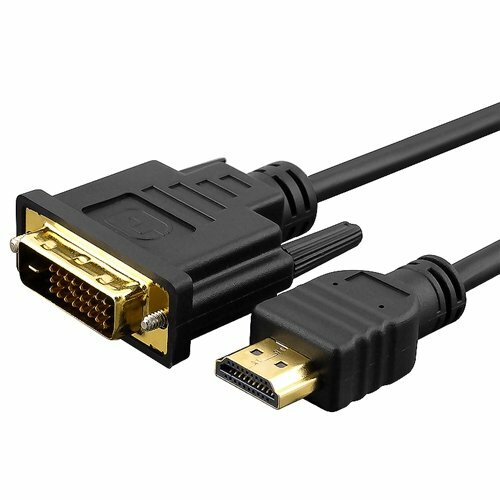 Luckily for our tech hacker purposes there is a high level of compatibility between this DVI standard and the newer HDMI specification supported by the Roku. Then you get a HDCP error! If I had read the fine print of the Roku forum post above just a little closer, I would have realized there’s a catch. 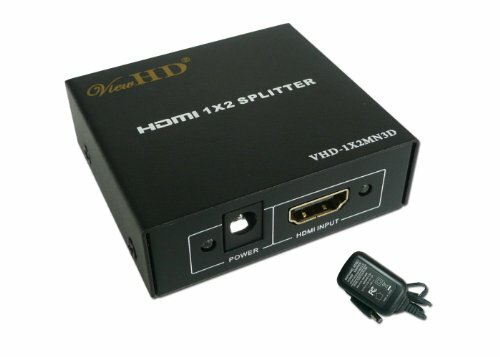 The DVI to HDMI cable method I planned to connect my old LCD monitor to my new Roku only works on TV's that support HDCP on the DVI connection. It’s easy to miss these HDCP warnings when you’re focused on Netflix and catching up on the final season of Breaking Bad. Proud of my clever hack, I happily attached the DVI output to the monitor, the HDMI side of the DVI cable to the Roku. Then connected the two standard audio outputs from the RCA area of the Roku to the auxiliary audio inputs of my stereo. 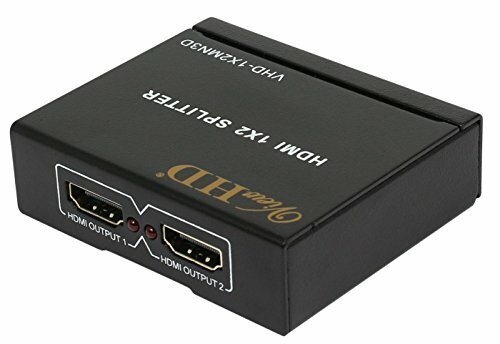 This was necessay as the DVI standard does not support audio transfer over the video connection like the HDMI specification does, and we need to get that sound out somehow. I plug in the Roku ready to dance on my cable bill’s grave, turn on my monitor, and stand back for the magic. All looks well. My LCD monitor is displaying the standard Roku startup message, clear for take off. I fairly easily manage to connect the device to my local WiFi network to register the Roku (a unexpected inconvenience for first timers) and select a few channels from the “Channel Store,” inputting the proper credentials. I navigate to House of Cards and press the OK button with all the anticipation of a NASA launch. On cue, Kevin Spacey’s monologue comes blaring out of my vintage stereo speakers with all the crackle their thrift store woofers can muster. Yet there’s no video, nothing but a solid blue background on my computer monitor that had been working perfectly only moments before. Confused and shaking my fist at the technology gods, I hit the back button, navigate to a different selection and give it another go, with similar results. In a panic, afraid I’ll have nothing to watch but the living room wall, I navigate back to the main menu, load the Crackle app and try a random selection. Nothing but the same results, plenty of sound but no sight of any video beyond the abyss of the dreaded blue screen. At this point, I can’t even watch cute cat videos on my grandmother’s Facebook page, much less Season 2 of House of Cards. 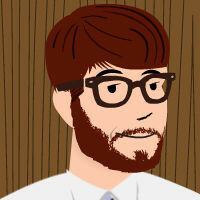 Time to consult the Google guru. A quick search for the keywords "Roku no video blue screen" leads me back to the acronym HDCP, and I read about the errors this copy protection protocol creates for owners of older DVI devices. Returning to the question at hand, what is HDCP? HDCP is a copy protection scheme designed to limit the flow of high-definition content thought the use of an encrypted content stream only readable by devices that are HDCP compliant. And why do I care? 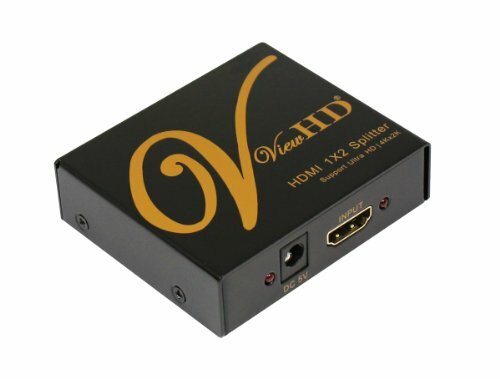 You care about HDCP because this content protection scheme makes it more difficult to use older non-compliant LCD monitors and Digital TV's with newer HDMI devices that enforce this standard. How do I fix my HDCP error? Keep in mind that some HDCP errors can’t be fixed in the fashion to be described. In most cases, however, this cheap fix can be easily done with just a few components you purchase online. As I had previously described, I encountered this HDCP error while trying to reuse an old non-HDCP compliant LCD monitor with a new Roku LT.
Scouring the Roku forum, I learned that certain HDMI splitters had HDCP strippers built into them. , These "strippers" allow for the HDCP encumbered bits of the data streams to be removed and cleanly played through non-HDCP compatible devices, exactly what I needed to pull this off. So exactly how do I fix my HDCP error? 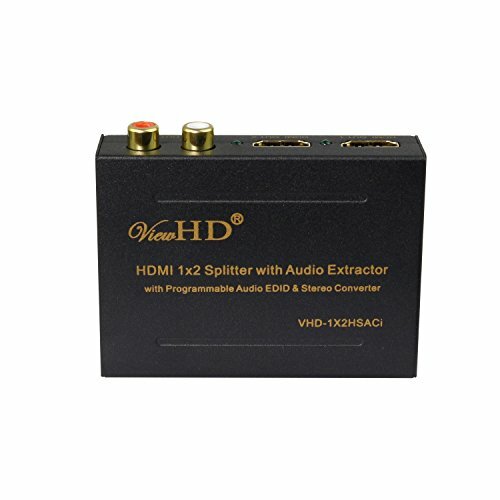 Simply purchase and place a ViewHD Powered HDMI Mini Splitter, otherwise known to us as an HDCP stripper, between your non-HDCP compliant display's (or game recorder's) input and the copyright encumbered HDMI signal coming from your Roku (or cable box, or Apple TV, or Fire TV, or PS4). With all the wires connected and the splitter plugged-in and turned-on, power cycle or reboot the rest of these devices and voila, the HDCP error is gone. Your HDCP error is gone and you’ve got an Internet connected TV from a simple computer monitor repurposed from the thrift store, all for the price of Chinese take-out. Don't quite understand? Read the end of our HDCP Fix Guide . The basic HDCP stripper you need to fix your devices HDCP error! If you need 4K video, get me for your devices HDCP problem. Use me if you need extra audio outputs on your HDCP stripper. To repurpose your LCD monitor use the below bits.